Cannabis has been utilised all over the world for centuries, and particularly in Africa where it has become the cultural backbone of many societies throughout history, such as the Khoikhoi and Bantu peoples of eastern Africa who have used cannabis for centuries as medicine and as a performance enhancer when needed. The association between cannabis and sports performance is long indeed. Over the centuries cannabis weaved itself into the very fabric of these cultures, being relied on not only for its medicinal uses and folk traditions, but for a performance boost when hunting, gathering and quite likely when going to war. 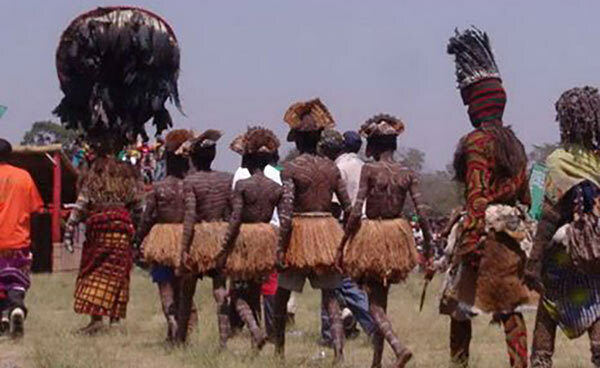 The Bantu peoples were some of the most successful on the African continent, with Bantu languages being spoken across Africa, it is clear that their traditional use of cannabis as a performance enhancer, medicine and important spiritual herb has had a profound effect on their spread and culture. This is, however, no mere coincidence as modern science is starting to show, despite cannabis and its users gaining a reputation for lethargy and low activity this couldn’t be further from the case. Many athletes all over the world are waking up to the sportive and medical uses of cannabis, despite its undeserved reputation it is forming a cornerstone of the sporting world, relied on for physical relief and increased performance; in fact a study has shown that over 96% of young French athletes used cannabis to boost performance and relax after exercise. It would be quite easy to brush these off as isolated cases, however there is a dearth of evidence that this is anything but the case, as the world finally starts to accept the many benefits cannabis can bring. Michael Phelps is one of, if not the, most decorated Olympians to have ever existed, with over 23 Olympic gold medals to his name, a number far in excess of almost any other sportsman. This, if nothing else, should showcase his athletic achievement. One might think that to reach such a pinnacle of sporting prowess cannabis would be completely forbidden, yet there is evidence that Michael Phelps himself enjoys the therapeutic and performance enhancing abilities of cannabinoids like THC or CBD, as the picture below attests. There is also substantial evidence that cannabis is used extremely widely within the professional swimming community, with many not even seeing it as a violation of anti-doping laws due to their extensive usage of cannabis for all its beneficial properties. It would be easy to dismiss Phelps as an isolated case, an exceptional athlete that has succeeded in spite of cannabis, however this couldn’t be further from the truth; health professionals have encountered athletes including “gymnasts, divers, football players and basketball players who claim smoking cannabis before play helps them to focus better”. He proceeded to go even further and state that: “All my best games I was medicated”. Using precisely this routine, Matt Barnes took his team to victory in the 2017 NBA versus the Cleveland Cavaliers. Following the win, the 38 year-old retired from the game and in interviews told BBC Sport that the use of cannabis in basketball was “widespread” even though it flew in the face of long established NBA rules. Other basketball players claim that cannabis use in basketball is massive. 85% of NBA players are using the plant according to the estimations of Kenyon Martin, a retired power forward. As a youngster growing up in Jamaica, Usain Bolt admitted he did occasionally use cannabis. Though this usage may be in the past it is clear that he used it extensively during his formative years as a runner, thus it is likely that at the very least it did not have a negative impact upon his running performance. Though Bolt has shown some public support of marijuana, wearing “Pothead Diaries” clothing, despite criticism from the media, so perhaps even the fastest man alive can see the benefits of cannabis. Regardless of his personal usage there is evidence that cannabis can improve running performance and problem solving abilities, with rats that had been exposed to cannabis sativa before running and maze trials performing significantly faster than the control group. Some cannabis strains are becoming popular in the long-distance running community according to research and anecdotal evidence. 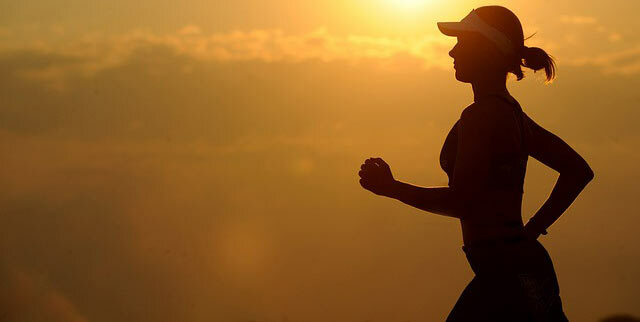 Recent studies have attempted to explain the so-called “runners high” phenomenon where athletes report feelings such as “pure happiness, elation, a feeling of unity with one’s self and/or nature, endless peacefulness, inner harmony, boundless energy, and a reduction in pain sensation”, it was once thought that this was due to activation in the endogenous opioid receptor network, however it is now thought that this feeling of peace and wellbeing is due to activation in the endocannabinoid system, the same system that responds to cannabis, providing relief and increased athletic performance. The National Football League (NFL) is a sporting league requiring intense physical activity and toughness, with injuries being a common fact of life. In fact, it took only two weeks of the 2015 season of the NFL for 15% of players to suffer an injury. Due to this, many NFL players both former and current have campaigned to make cannabis an accepted medicine for pain relief, help with inflammation and indeed physical performance. An event known as “Cannabis in Professional Sports” drew many professional players in support of the sporting usage of marijuana. It has also been suggested that the usage of cannabis as medical relief may in fact prevent the abuse of opioids in afflicted athletes – providing a much safer, healthier and more beneficial alternative. This is corroborated by the testament of Ricky Williams, former NFL running back, who was suspending in 2004 for the usage of cannabis and has since become a great advocate for marijuana, even launching his own brand of medical cannabis products in Real Wellness, showing that cannabis culture in the NFL is alive and well. In recent developments in America’s NFL (where many players have admitted to using cannabis – see video above) a running back called Mike James has officially requested to be allowed to use the plant in a medicinal manner, submitting a therapeutic use exemption (TUE) so that his use can be officially sanctioned. This would be the very first case of its kind and demonstrates clearly the efficacy of medical cannabis for these players, who can often be debilitated by the side-effects of prescription painkillers, or even worse alternatives. This may signal a change in the winds when it comes to cannabis legislature in both sports and the US government as a whole, with almost insurmountable evidence being provided of the mental and physical relief that cannabis can provide both sportsmen and people of the general public. Over the years studies have clearly demonstrated that cannabis is one of the most efficacious anti-inflammatories to be found in nature. Only recently has the importance of the endocannabinoid system been found in the areas of pain relief, anti-inflammation, muscle tone, appetite, and mood, serving to regulate and enhance all of the above when stimulated, either naturally or through the consumption of cannabis. It has been shown that cannabis is incredibly effective in treating mood disorders, physical discomfort and sleep disturbance, showing that its beneficial not only for athletes, but the general public. There is a slowly growing mountain of evidence that cannabis has amazing therapeutic properties, and with changes in US legislature regarding the use of cannabis, there can only be more evidence of the wonderful benefits it can bring to both mind and body, we can remain optimistic about the future of cannabis in both sports and society in general.